Silk, cotton. Width-51 cm, Length-104 cm. Wide, loose-fitting pants with a wide, off white cotton band at the waist. The material is greyish purple taffeta silk with a random woven floral pattern. Decorative gold-coloured trim at pant bottoms. 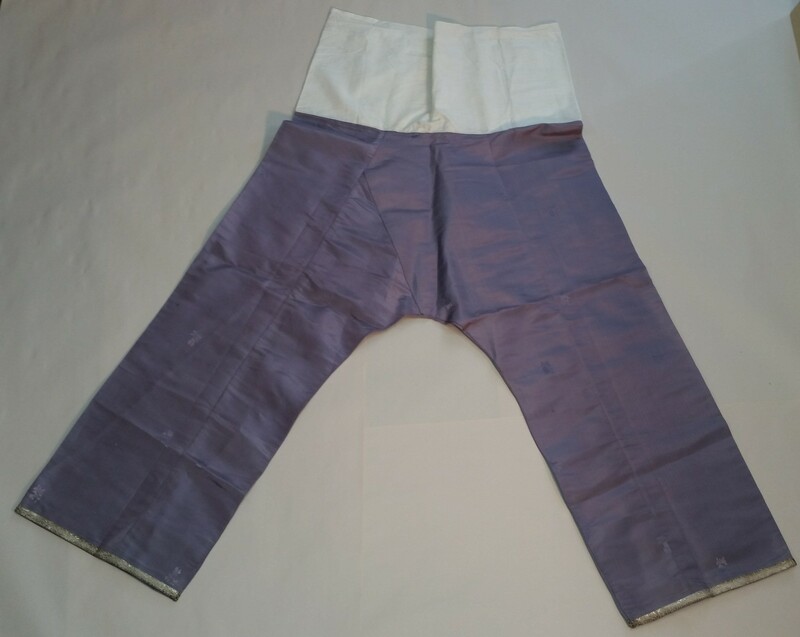 Part of a pantsuit that includes jacket and pants CVM 002.59.13a. From the family of Frank Won. The family came to Victoria from China ca. 1890's.